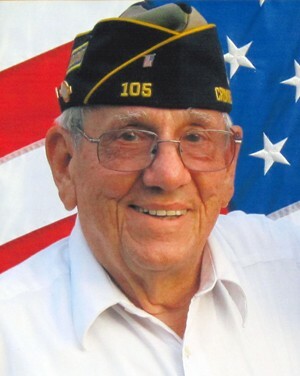 Obituary for Albert Joseph Barrieau | Doolittle Funeral Service, Inc.
Albert Joseph Barrieau, 85, of Cromwell, beloved husband of Barbara (Burr) Barrieau, passed away on Sunday, January 13, 2019 at Hartford Hospital. Born in Quebec, Canada, he was the son of the late Fiedel and Pauline (Thibeault) Barrieau. Al was a member of Saint Elizabeth Seton Church. He was a veteran of the United States Army serving during the Korean Conflict. Al was a life member, past Commander and Post Adjuctant of the American Legion Carlson-Sjovall Post #105 in Cromwell and a life member of the Bennino-Beck VFW Post # 2138 in Rocky Hill, member of Knights of Columbus Desoto Council #6 and the Rocky Hill Senior Club and a life member of the Cromwell Fire Department. Al is survived by two sons, Michael D. Barrieau of Sandgate, VT and Ronald E. Barrieau of Middletown; two stepdaughters, Norma Esposito of Groton and Karen Young of Bremerton, WA; sister, Theresa LaDuke of Rocky Hill; two grandchildren, Jeremy and Rebecca Barrieau and several nieces and nephews. Along with his parents, Al was predeceased by his son, Gregory A. Barrieau, three brothers and two sisters. A Mass of Christian Burial will be celebrated on Friday, January 18 at 10:00 am at Saint Josephine Bakhita Parish at Saint Elizabeth Seton Church, 280 Brook Street, Rocky Hill. Burial will follow in Cromwell Hillside Cemetery West where full military honors will be accorded. In lieu of flowers, donations in Al’s memory may be made to Middlesex Hospital Weiss Hospice Unit, 28 Crescent Street, Middletown, CT 06457 or Saint Jude Children’s Research Hospital, P.O. Box 1000 Dept. #142, Memphis, TN 38101-9908. To share memories or send condolences to the family, please visit www.doolittlefuneralservice.com.